In LMICs, pregnancy-dating is challenging and often unavailable. Ultrasound-dating in early pregnancy is the most accurate method currently available to determine gestational age, and is the standard of care in high-income countries. However, access to ultrasound is low for pregnant women in LMICs — in rural sub-Saharan Africa, for example, less than 7% of pregnant women have an ultrasound in pregnancy.5 Furthermore, many pregnant women do not attend antenatal care until late in their pregnancy, when traditional ultrasound is notably inaccurate for determining gestational age. The most common alternative to ultrasound pregnancy-dating is maternal recall of last menstrual period (LMP), but this method is often unavailable or unreliable in LMICs, particularly in populations with high rates of maternal illiteracy.5,6 Symphysis fundal height, or measuring the height of the mother’s baby bump during pregnancy, is another alternative for LMICs. However, symphysis fundal height is imprecise in estimating gestational age (with a margin of error of +/- 6 weeks), and is influenced by other factors, such as fetal growth. When the dating of pregnancy is unknown, the newborn can be examined after birth for signs of development and maturity to estimate its gestational age. Clinical assessment of newborn maturity has been used as a proxy to estimate gestational age after birth in high-income settings when pregnancy dating is uncertain, and may include a combination of physical signs (e.g., texture of the skin, shape of the ears) and neurologic signs (e.g., resting muscle tone). 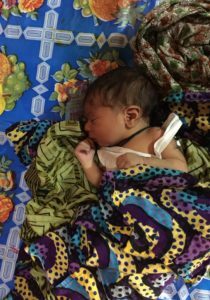 Although newborn assessments have become less relevant in high-income settings, they are often the only tool available to estimate gestational age in low-resource settings. HOW ACCURATE ARE NEWBORN ASSESSMENTS FOR DETERMINING GESTATIONAL AGE? We found 19 different newborn assessments that have been used to estimate gestational age, which include as few as 4 and as many as 23 signs of maturity. One of the most frequently used assessments is known as the Dubowitz score, which consists of 21 different physical and neurologic signs. Another commonly used assessment is the Ballard score, a shorter exam that comprises 12 physical and neurologic signs. In our review of the literature, the Dubowitz score dated the majority of pregnancies within a window of +/- 2.6 weeks around a “gold standard” gestational age determined by ultrasound. The margin of error for the Ballard score was wider, dating most pregnancies within +/- 3.7 weeks of the “gold standard.” The Ballard score also tended to consistently overestimate gestational age by around half a week. Accordingly, the Ballard score could only identify 64% of babies born preterm, meaning that it would fail to identify one-third of preterm infants. In turn, those unidentified preterm babies may not be offered the extra care and monitoring that they need to survive and thrive. Although more complex assessments are less feasible in LMICs, the simpler, and thus more feasible, assessments were found to be the least accurate, with wider margins of error. Several studies also found that newborn assessments were more biased and less accurate for estimating gestational age in the highest-risk babies (those born preterm and/or growth-restricted). WHAT CAN BE DONE TO IMPROVE GESTATIONAL AGE MEASUREMENT IN LMICs? Overall, these findings show that newborn assessments are currently not very accurate for identifying preterm babies. While more complex assessments (like the Dubowitz score) had better precision than simpler versions, they are more challenging to train and implement at large scale in low-resource settings. Therefore, there is an urgent need to develop simpler and more accurate methods for estimating gestational age that are feasible to implement in LMICs. 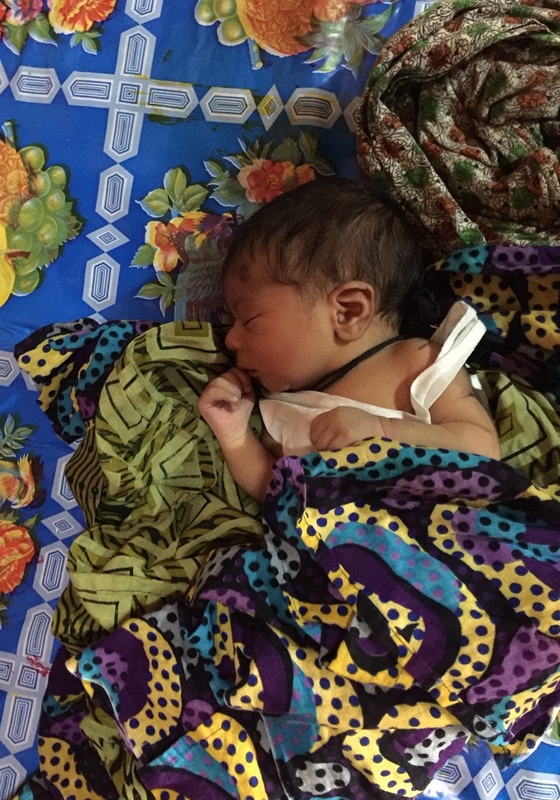 Improving the accuracy of gestational age determination is a critical priority for newborn health and an emphasis of the Every Newborn Action Plan (http://www.who.int/maternal_child_adolescent/newborns/every-newborn/en/). Assessing the feasibility of training and implementing existing, more complex scores in LMIC settings. The findings from this review are a call to action to the global public health community to augment efforts to improve the measurement of gestational age, in order to improve the survival and potential of preterm babies worldwide. Anne CC Lee, MD, MPH, FAAP is an Assistant Professor of Pediatrics at Harvard Medical School, practices clinical newborn medicine and directs Global Newborn Health Research in the Brigham and Women’s Hospital Department of Pediatric Newborn Medicine. Lian Folger, BA is a Research Assistant in the Global Newborn Health Lab at Brigham and Women’s Hospital. Lauren Schaeffer, MSc is the Project Manager of the Global Newborn Health Lab at Brigham and Women’s Hospital. Hannah Blencowe, MBChB, MSc, MRCGP, PGCert, MedEd, MRCPCH is an assistant professor at the London School of Hygiene & Tropical Medicine, clinician, and perinatal epidemiologist. Professor Joy Lawn, BMedSci, MB BS, MPH, PhD, MRCPCH, FMedSciis the Director of the MARCH Center at the London School of Hygiene and Tropical Medicine and a Senior Health Advisor to Save the Children. Pratik Panchal, MD, MPH is a physician, a clinical research fellow at OpenBiome, and visiting scientist position at the Harvard T.H. Chan School of Public Health. Blencowe H, Cousens S, Oestergaard MZ, et al. National, regional, and worldwide estimates of preterm birth rates in the year 2010 with time trends since 1990 for selected countries: a systematic analysis and implications. Lancet (London, England) 2012; 379(9832): 2162-72. Levels and Trends in Child Mortality: Report 2017. New York, NY: United Nation’s Children’s Fund, 2017. Liu L, Johnson HL, Cousens S, et al. Global, regional, and national causes of child mortality: an updated systematic analysis for 2010 with time trends since 2000. Lancet (London, England) 2012. Aliyu AD, Kurjak A, Wataganara T, et al. Ultrasound in Africa: what can really be done? J Perinat Med 2015; 44(22). Savitz DA, Terry JW, Jr., Dole N, Thorp JM, Jr., Siega-Riz AM, Herring AH. Comparison of pregnancy dating by last menstrual period, ultrasound scanning, and their combination. Am J Obstet Gynecol 2002; 187(6): 1660-6.